SMi Group is proud to present the Defence Aviation Safety Conference which will take place in London on the 29th - 30th April 2019. This unique conference will focus on enhancing military capability through improved safety standards, certification and data management. The event will feature briefings from safety regulators, operators and leading industry safety providers. Defence Aviation Safety 2019 will feature in-depth focus on mutual recognition of air platforms and systems covering the spectrum of Fast Jet, Fixed Wing, Rotary, and UAS. Supported by The Defence Safety Authority and the Military Aviation Authority-UK MoD-this event will host the most senior leaders and safety practitioners from around the world. As the only event specifically dedicated to Defence Aviation Safety, this is a must attend event for Air Force, Army and Navy Aviators, as well as government and industry experts! Development of a through life Air System Safety Case to reduce downstream certification and safety challenges. Transition to a Risk Based Assurance Organisation. Balance between Regulator and Advisor. • What can we control in Product Safety? • Do we understand how the equipment is operated? - Benefits and advantages of fast screening. • Describe how the management information system is part of the air system. • Understand how the management information system helps to control air system risks. • Creating a continuing safety argument for a management information system. To report, or not to report….how just is our culture? At BAE Systems, we help our customers to stay a step ahead when protecting people and national security, critical infrastructure and vital information. We provide some of the world’s most advanced, technology-led defence, aerospace and security solutions and employ a skilled workforce of more than 83,000 people in more than 40 countries. From state of the art cyber threat detection to flight control systems that enable pilots to make better decisions, we never stop innovating to ensure that our customers maintain their advantage. This is a long-term commitment involving significant investments in skills. We also work closely with local partners to support economic development through the transfer of knowledge, skills and technology. Engineering is in our DNA. Babcock is an Aerospace and Defence company that provides skilled, bespoke engineering services which allow our customers to improve their own performance whilst reducing costs. We work in highly regulated environments managing complex assets for both defence and civil customers. In the Aviation industry, Babcock delivers critical and vital aviation services to the civil and defence sectors with unrivalled expertise. In the civil sector, our highly trained pilots and medical staff provide aerial emergency medical services, aerial search and rescue operations and aerial firefighting missions, supported by our in-house engineering teams and operational control centres. In the defence sector, our skilled engineers, ground support staff and training instructors deliver military flying training, air station support and integrated engineering services to armies, navies and air forces. tlmNexus is known and trusted by many in the Ministry of Defence for its Resolve software which helps to ensure the efficiency, quality and safety of the majority of the aircraft types operating across the three services. Originally designed to support the Typhoon aircraft in the Royal Air Force, Resolve now supports 29 different aircraft types and represents a significant step forward in the management of safety, through-life engineering and airworthiness assessment. The system provides an auditable trail of information and shares data securely between the MOD and its suppliers. As well as Resolve, the company has developed valuable software foundations which similarly link all collaborators involved in other aspects of long-term projects: Requirements Management, Budgeting and Investment Appraisals and Operational Quality Feedback. tlmNexus received the Queen’s Award for Innovation in 2018 in recognition of Resolve’s contribution to improving the management of aircraft safety. View details Rolls-Royce Holdings plc Sponsors and Exhibitors https://www.rolls-royce.com Rolls-Royce pioneers cutting-edge technologies that deliver the cleanest, safest and most competitive solutions to meet our planet’s vital power needs. Rolls-Royce has customers in more than 150 countries, comprising more than 400 airlines and leasing customers, 160 armed forces, 4,000 marine customers including 70 navies, and more than 5,000 power and nuclear customers. Annual underlying revenue was £15 billion in 2017, around half of which came from the provision of aftermarket services. The firm and announced order book stood at £78.5 billion at the end of December 2017. In 2017, Rolls-Royce invested £1.4 billion on research and development. We also support a global network of 31 University Technology Centres, which position Rolls-Royce engineers at the forefront of scientific research. Rolls-Royce employs almost 55,000 people in 50 countries. Approximately 19,400 of these are engineers. The Group has a strong commitment to apprentice and graduate recruitment and to further developing employee skills. In 2017 we recruited 313 graduates and 339 apprentices through our worldwide training programmes. View details Tudor Tech Sponsors and Exhibitors http://http://www.tudor-tech.ch MIRCEA TUDOR SCAN TECH S.A. (MTST) is a Swiss company with over 20 years of experience in developing innovative scanning technologies, proving high expertise to develop unique internationally patented scanning technologies for civil and military aircrafts, occupied cars, trucks and containers. MTST operates in Switzerland a state-of-the-art factory and an R&D center for nuclear technologies with fast-prototyping capacity. The company is deeply involved in large scale security projects covering borders, critical infrastructures, seaports and airports. The main challenge of the company is to propose Tudor Tech AERIA, a new and revolutionary field proven solution for civil and military aviation safety & security, introducing finally the technological support in airplane bomb on board clearing and fast security screening of airplanes arriving from low security/high risk origin of flights. For the military aviation AERIA can generate within few minutes only a conclusive dual view (top view and side view) high resolution radiography, capable to reveal sub millimeter details and material separation, extremely useful for fast assessment of the mechanical and structural integrity of the aircraft after combat missions or as routine checks. The scanning process can reveal as well eventual foreign objects on board, detached/misplaced objects or parts, liquid leakages and many other anomalies, including inside the technical cavities, inaccessible for security of safety inspection. The occupied cars scanner and the truck/container scanner can bring a high level of security of the airfields by scanning all vehicles accessing the secured area, eliminating significant vulnerabilities. View details 21st Century Asian Arms Race Official Media Partner https://21stcenturyasianarmsrace.com/ 21st Century Asian Arms Race (21AAR) is an online resource for conflict and security related information specific to Eurasia. 21AAR's editorial style and open source approach to gathering public intelligence ensures a unique and independent presentation of events in real-time. View details Air International Official Media Partner http://www.airinternational.com Over the years, AIR International has established an unrivalled reputation for authoritative reporting and coverage across the full spectrum of aviation subjects. With more pages than ever, all still dedicated to commercial and military aviation, we have more correspondents and top aviation writers from around the world, offering even more exciting news, features and stunning photography. View details Armada International Official Media Partner http://armadainternational.com ARMADA INTERNATIONAL is leading defence magazine which reports on and analyses defence systems, equipment and technology. Together with its Compendium supplements, ARMADA provides defence planners in the militaries, in government, in procurement and in the defence industry itself with the information they need to plan their strategies. View details Asian Military Review Official Media Partner http://www.asianmilitaryreview.com/ Asian Military Review is ABC audited publication, read & discussed by key decision makers & advisors to Asia Pacific militaries. Published since 1993 it’s widely recognised as authoritative provider of unbiased & objective information to Asian military. Editorial content comprises capability analysis, special reports & relevant news coverage from the region. AMR provides information, opinion & facts allowing military professionals to track & understand defence developments worldwide, concerning equipment, training, organisation & doctrine issues. The magazine is a proven source keeping military professionals up to date on national & international defence & security issues. View details Aviation News Official Media Partner http://www.aviation-news.co.uk/ As Britain’s longest established monthly aviation journal, Aviation News is renowned for providing the best coverage of every branch of aviation. Now incorporating Classic Aircraft, each issue features the latest news and in-depth features, plus firsthand accounts from pilots putting you in the cockpit. Covering both modern military and civil aircraft, as well as classic types from yesteryear, it features subjects from World War Two, through the Cold War years to present day. Aviation News brings you the past, present and future of flight. View details Blog Before Flight Official Media Partner http://www.blogbeforeflight.net/ Blog Before Flight is an online news and information website related to the aviation and aerospace industries. It offers daily news about new products, future projects, military exercises and operations, airshow info and reportages made in close contact with the international armed forces. Blog Before Flight combines technical concepts with a common language to reach everyone wants to know more about aviation. View details Combat Aircraft magazine Official Media Partner http://www.combataircraft.net With in-depth editorial coverage alongside the finest imagery from the world’s foremost aviation photographers, Combat Aircraft is America’s best-selling military aviation magazine. With thought-provoking opinion pieces, detailed information and rare archive imagery, Combat Aircraft is your one-stop-source of military aviation news and features from across the globe. Visit www.combataircraft.net for more information. 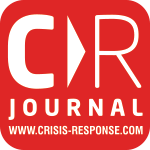 View details Crisis Response Journal Official Media Partner http://www.crisis-response.com/ Crisis Response Journal is the international publication focusing on response, resilience, continuity and security issues arising from large scale natural and man-made disasters, emergencies and terrorist attacks. CRJ analyses past events to draw vital lessons for the future, while constantly scanning the horizon to identify and help mitigate new threats. View details Defence and Security Alert Official Media Partner http://www.dsalert.org Defence and Security Alert (DSA) is the first and only ISO 9001:2015 certified, world-class monthly Indian magazine in defence and security journalism. Covering a strictly research based spectrum of dynamic scenarios in India and challenging horizons beyond national borders, DSA is the only Indian defence magazine available on the intranets of Indian Air Force (IAF) and Border Security Force (BSF). DSA is an ideal platform in this domain to showcase your products, services and cutting-edge technologies. DSA is very extensively circulated among key policy and decision makers in the federal and 28 state governments and corporate world in India and worldwide through print and online editions. View details Defense Conferences Official Media Partner https://www.marketresearchmedia.com Market Research Media Ltd, a leading market research firm, provides comprehensive market research reports and forecasts to assist governmental and corporate decision makers understand the dynamics of world’s technology markets. Fortune 500 companies, US Congress and EU government bodies rely on our strategic insights. View details Defense Express Official Media Partner http://www.defense-ua.com Limited Liability Company “DEFENSE EXPRESS MEDIA AND CONSULTING” highlights events in security, defense and military cooperation areas. Regular information products of the company: - Daily News Wire and Analysis on http://www.defense-ua.com; - Weekly newsletter “Ukrainian Defense Survey”; - “DEFENSE EXPRESS” Magazine; - “Ukrainian Defense Review” Magazine (in English); - Book series “Weapons of Ukraine”. Company also provides advice and assistance based on deep analytical skills and knowledge of the conditions and characteristics of Ukrainian military market to companies, government bodies and intermediaries in the implementation of their strategy, relating to finding new partners and interests promoting. View details Defense-update.com Official Media Partner http://www.defense-update.com Defense Update highlights worldwide defense programs, including; land warfare covering armor and infantry and support elements,aerospace, naval, C4ISR, EW, Cyber Warfare, intelligence and net-centric warfare, unmanned systems and robotics, and homeland defense. Written by experienced defense journalists from different nations, with contribution by analysts specializing in different fields, Defense Update provides comprehensive coverage of specific defense related topics, including Armored Fighting Vehicles (AFV), Future Combat Systems, Aerospace – and unmanned systems as well as robotics and Precision Strike weapons. It also covers in-depth analysis of developing trends in Command, Control, Communications and Computing, Intelligence, Surveillance and Reconnaissance (C4ISR). View details Epicos Official Media Partner http://www.Epicos.com Epicos is a global, multifaceted portal providing Aerospace and Defense industries around the world with business intelligence and active support to access opportunities on international procurements, industrial cooperation and offsets. Epicos has carried out extensive industry analysis and mapping of capabilities of A&D Industries and offers this knowledge to its members helping them to identify business opportunities and to build strategic alliances. Additionally, Epicos supports the global A&D industry through a wide range of on-line services and products including but not limited to: a large online procurement database, an updated Business Directory, an e-library with extensive information regarding procurement and offsets processes systems and an up to the minute news database. View details Global Military Communications Official Media Partner http://www.globalmilitarycommunications.com Global Military Communications is a publication that tracks the trends, drivers and technology that fuel the military communications sector. Communications continue to be the lynchpin of modern warfare and is crucial to any military campaign. The sector is going through unprecedented change as militaries and governments across the world move towards a network centric approach to their communications. From operations in war zones to homeland security and disaster recovery operations, Global Military Communications provides you with the latest communications developments on land, sea, and in the air. View details Homeland Security Corporation (HSRC) Official Media Partner http://www.hsrc.biz HSRC provides premium off-the-shelf market reports on present and emerging technologies and industry expertise, enabling global clients to gain time-critical insight into business opportunities. All reports include in-depth information and analysis of emerging markets, technologies, and industries broken down by geography, market, vertical, technology, product, and revenue stream. Our reports support Homeland Security & Public Safety communities worldwide in their strategic decision-making process, providing up-to-date market knowledge, analysis, and insights. HSRC offers customized research services geared towards providing our clients with clear, actionable recommendations designed to empower decision-making and to help exploit emerging opportunities in the market. The customized research services provide a deep analysis of specific markets and eco-systems, target geographies, strategic segments and verticals, competitor analysis and technological benchmarks. The custom research services are provided as an ad hoc assignment or as an ongoing service. View details IHS Janes Official Media Partner http://www.janes.ihs.com With a legacy of over 100 years as Jane's, IHS Aerospace, Defence & Security delivers the world’s leading defence and security insight to help you make critical decisions. Our renowned open-source intelligence and powerful analytical tools encompass data on equipment, technology, parts, standards and logistics, as well as objective analysis of markets, programmes and budgets, risk and capabilities assessments, training and consulting services. Government, military and defense organizations gain insight into, plan for and act upon critical threats in the current global national-security environment. Businesses leverage tools and resources for more cost-effective defense-system design, delivery and support. Over 3000 thought leaders provide you with actionable intelligence for expedited and improved decision making. Customers, prospects and the media outlets alike rely upon IHS thought leaders for analysis, forecasts, and perspectives on topics, events, and issues that impact the global business landscape. View details Satellite Evolution Group Official Media Partner http://www.satellite-evolution.com The Satellite Evolution Group delivers a portfolio of must-read publications including; Satellite Evolution Asia; Satellite Evolution EMEA; and Satellite Evolution Global. Containing news, analysis, case studies, and renowned Q&As - the magazines are a must-read. In addition to print magazines, the Satellite Evolution Group delivers products across a complete multimedia platform including email, CD, HTML, audio, and video streaming. View details SecurityClearedJobs.com Official Media Partner http://www.SecurityClearedJobs.com SecurityClearedJobs.com is an on-line job board designed and marketed to attract candidates who work within Defence, Government and Nuclear sectors. We advertise 1000’s of job opportunities both on a Permanent and Contract basis covering opportunities within all industry sectors. Visit our site www.SecurityClearedJobs.com to search for your next job opportunity. View details SEGURANÇA & DEFESA Official Media Partner http://www.segurancaedefesa.com/ SEGURANÇA & DEFESA (“Security & Defense”), the recognized leader among South American defense magazines. In the market for 29 years, its staff includes the best experts in the field. Sold on newstands and by subscriptions, it is sent free of charge to key names and addresses in the defense sector. View details Soldier Modernisation Official Media Partner http://www.soldiermod.com Soldier Modernisation (SoldierMod.Com) is an authoritative policy and technology publication for the international defense community, serving the integrated equipment needs of the dismounted soldier and marine in operations today and the fielding of Soldier Modernisation Programmes over the next few years. SoldierMod.Com is designed to provide insights into how decision makers plan to transform operations in the areas of survivability, sustainability, C4I, lethality and mobility; managing the balance between the promise of 'leap-ahead technology balance and mature cost effective solutions. SoldierMod is distributed in many formats which will include an 50 page journal 10,000 copies BPA Audited, twice annually , in January and June Our Website www.soldiermod.com , Has a 24 hour news service , anytime ( currently at over 20,000 individual visits per month ) . We also have an online technical forum where anyone in the industry can ask us strategic or technological questions , our partners and experts will respond directly back. 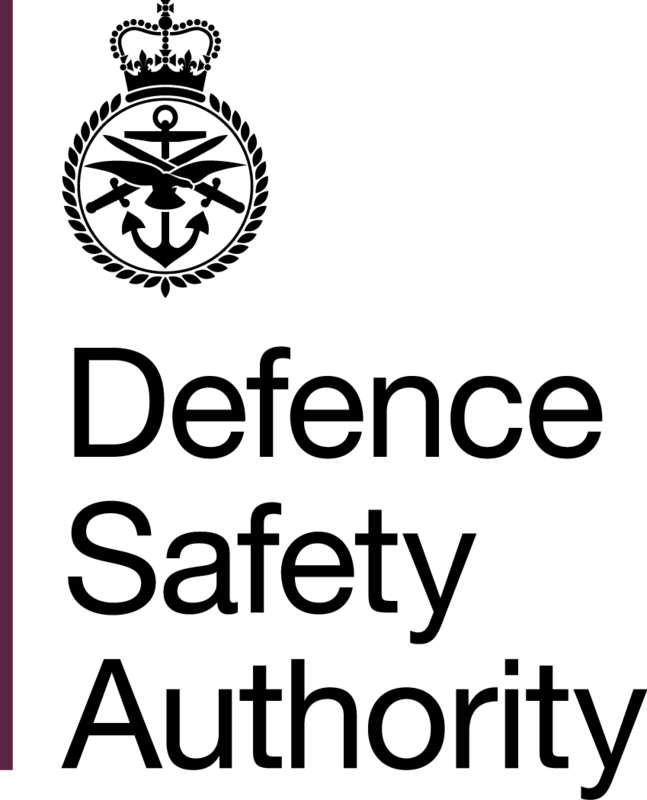 View details Defence Safety Authority Supporters https://www.gov.uk/government/organisations/defence-safety-authority The Defence Safety Authority is an independent organisation, empowered by charter from SofS to undertake the roles of regulator, accident investigation and Defence Authority for safety. DSA is part of the Ministry of Defence. Rolls-Royce pioneers cutting-edge technologies that deliver the cleanest, safest and most competitive solutions to meet our planet’s vital power needs. Rolls-Royce has customers in more than 150 countries, comprising more than 400 airlines and leasing customers, 160 armed forces, 4,000 marine customers including 70 navies, and more than 5,000 power and nuclear customers. Annual underlying revenue was £15 billion in 2017, around half of which came from the provision of aftermarket services. The firm and announced order book stood at £78.5 billion at the end of December 2017. In 2017, Rolls-Royce invested £1.4 billion on research and development. We also support a global network of 31 University Technology Centres, which position Rolls-Royce engineers at the forefront of scientific research. Rolls-Royce employs almost 55,000 people in 50 countries. Approximately 19,400 of these are engineers. The Group has a strong commitment to apprentice and graduate recruitment and to further developing employee skills. In 2017 we recruited 313 graduates and 339 apprentices through our worldwide training programmes. MIRCEA TUDOR SCAN TECH S.A. (MTST) is a Swiss company with over 20 years of experience in developing innovative scanning technologies, proving high expertise to develop unique internationally patented scanning technologies for civil and military aircrafts, occupied cars, trucks and containers. MTST operates in Switzerland a state-of-the-art factory and an R&D center for nuclear technologies with fast-prototyping capacity. The company is deeply involved in large scale security projects covering borders, critical infrastructures, seaports and airports. The main challenge of the company is to propose Tudor Tech AERIA, a new and revolutionary field proven solution for civil and military aviation safety & security, introducing finally the technological support in airplane bomb on board clearing and fast security screening of airplanes arriving from low security/high risk origin of flights. For the military aviation AERIA can generate within few minutes only a conclusive dual view (top view and side view) high resolution radiography, capable to reveal sub millimeter details and material separation, extremely useful for fast assessment of the mechanical and structural integrity of the aircraft after combat missions or as routine checks. The scanning process can reveal as well eventual foreign objects on board, detached/misplaced objects or parts, liquid leakages and many other anomalies, including inside the technical cavities, inaccessible for security of safety inspection. The occupied cars scanner and the truck/container scanner can bring a high level of security of the airfields by scanning all vehicles accessing the secured area, eliminating significant vulnerabilities. Blog Before Flight is an online news and information website related to the aviation and aerospace industries. It offers daily news about new products, future projects, military exercises and operations, airshow info and reportages made in close contact with the international armed forces. Blog Before Flight combines technical concepts with a common language to reach everyone wants to know more about aviation. With in-depth editorial coverage alongside the finest imagery from the world’s foremost aviation photographers, Combat Aircraft is America’s best-selling military aviation magazine. With thought-provoking opinion pieces, detailed information and rare archive imagery, Combat Aircraft is your one-stop-source of military aviation news and features from across the globe. Visit www.combataircraft.net for more information. The Defence Safety Authority is an independent organisation, empowered by charter from SofS to undertake the roles of regulator, accident investigation and Defence Authority for safety. DSA is part of the Ministry of Defence.